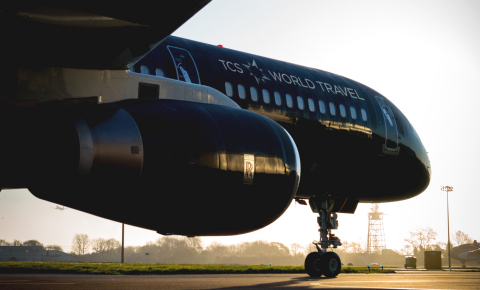 SEATTLE--(BUSINESS WIRE)--TCS World Travel, the leading tour operator of private jet expeditions for nearly 25 years, today announced its upcoming 2019 schedule offering travelers access to some of the world’s most captivating destinations and enriching activities. Pioneers in the private jet industry, TCS World Travel continues to embody the explorer’s spirit by blazing new trails to emerging destinations including India’s Thar Desert, Réunion Island, Albania and Greenland; offering immersive experiences in places frequented by adventurers of old such as Victoria Falls, Kathmandu, India’s Ranthambore National Park, and Galle, Sri Lanka; and crafting meaningful travel experiences in remote destinations like Mauritius, Norway’s Svalbard islands and Kazan, Russia. TCS World Travel offers today’s globally curious and modern affluent travelers—those seeking transformative moments and meaning in their travel experiences— the opportunity to enjoy unique, insider access to standout and sought-after destinations that include Khajuraho, India; Malta; Serengeti Plain or Ngorongoro Crater, Tanzania; Maputo, Mozambique; Pristina, Kosovo; Sicily, Italy; Ephesus and the Turquoise Coast, Turkey; Dambulla, Sri Lanka; and Inle Lake, Myanmar. Expeditions are thoughtfully crafted by TCS World Travel’s experts and tailored to the guests’ individual interests, whether on the company’s iconic private jet expeditions, custom private itineraries or the recently launched “Uncharted Series”—a collection of small-group, 15- to 20-day regional journeys. All of TCS World Travel’s trips are all-inclusive of private flights, best-available accommodations, ground transportation, dedicated staff and guides, dining, exclusive sightseeing options, special events and activities, enrichment programs and more. To inquire about any of these offers, please visit www.tcsworldtravel.com or call 800-454-4149. The seamless itineraries of these all-inclusive expeditions—starting at $68,950 per person, double occupancy—link unique cultures, historic sites and natural wonders rarely experienced together in a single journey. Private customized Boeing aircraft—reconfigured with either 50 or 80 spacious and comfortable seats—offer luxury and ease while flying direct to remote destinations hard to reach by commercial air. From sacred pilgrimage sites to pristine coral reefs, uncover natural and cultural wonders. Our flagship journey offers a life list of iconic destinations in a single itinerary. These small-group journeys, limited to 10 to 28 guests, delve deeper into the heart and soul of a country or region. For these intimate journeys—starting at $61,500 per person, double occupancy—private jets, chartered planes and helicopters are used to travel effortlessly between destinations in remote, fascinating parts of the world. 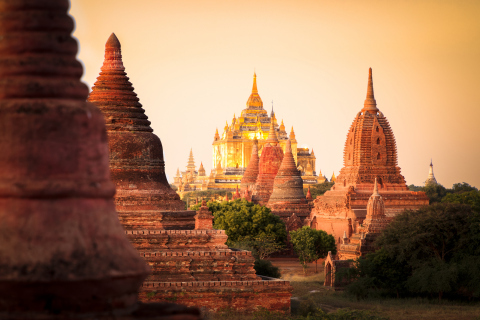 Explore Myanmar’s seldom-visited ancient cities and peaceful natural landscapes. An extraordinary opportunity to explore some of the lesser-known reaches of the Mediterranean. TCS World Travel leads the industry in private jet journeys with the experience and knowledge built from developing hundreds of trips for nearly 25 years. Dedicated to delivering immersive, worry-free travel experiences, TCS World Travel caters to the needs and preferences of the globally curious and modern luxury traveler. Whether on curated around-the-world or regional expeditions by private air; or custom private travel itineraries created to any destination in the world, TCS World Travel provides unparalleled local access and exclusive activities tailored to any travel style. TCS World Travel announces 2019 schedule offering travelers access to some of the world’s most captivating destinations and enriching activities.